For many of us raised in dysfunctional families, our childhood is a time when we learned that life isn't the wonderful journey it's made out to be. Negative messages received from our parents form attitudes that affect the rest of our lives. These negative lessons learned as a child often manifest themselves in self defeating actions as an adult. 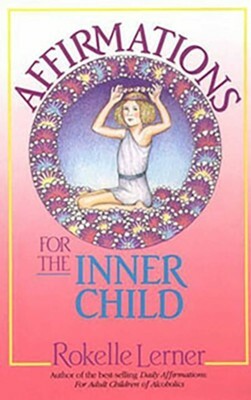 This book presents a method of reparenting your inner child to experience life anew. Affirmation For The Inner Child is for those adults who are ready to heal their childhood wounds and move from a life of pain into the path of recovery. All of us need positive affirmation throughout our lives. As children, these powerful messages helped us to know that we were worthwhile, that it was all right to want food and to be touched, and that our very existence was a precious gift. The messages that we received from our parents helped us to form decisions that determined the course of our lives. If we were raised with consistent, nurturing parents, we conclude that life is meaningful and that people are to be trusted. If we were raised with parents who were addictively or compulsively ill, we determine that life is threatening and chaotic--that we are not deserving of joy. These are the crucial decisions that impact our lives long after we have forgotten them. Unfortunately, childhood judgments don't disappear. They remain as dynamic forces that contaminate our adulthood. When childhood needs are not taken care of because of abuse or abandonment, we spend our lives viewing the world through the distorted perception of a needy infant or an angry adolescent. The more we push these child parts away, the more control they have over us. This collection of daily meditations is dedicated to those adults who are ready to heal their childhood wounds. It is through this courageous effort that we will move from a life of pain into recovery. Rokelle Lerner is a psychotherapist, international consultant and lecturer on relationships, women's issues and family systems. Ms. Lerner is the co-creator and facilitator of the InnerPath Programs for Cottonwood de Tucson. Over the last fifteen years Rokelle has worked as a consultant in London for Spring Workshops ltd and has created seminars for men and women in recovery from trauma, addiction and relationship issues. I'm the author/artist and I want to review Affirmations for the Inner Child.